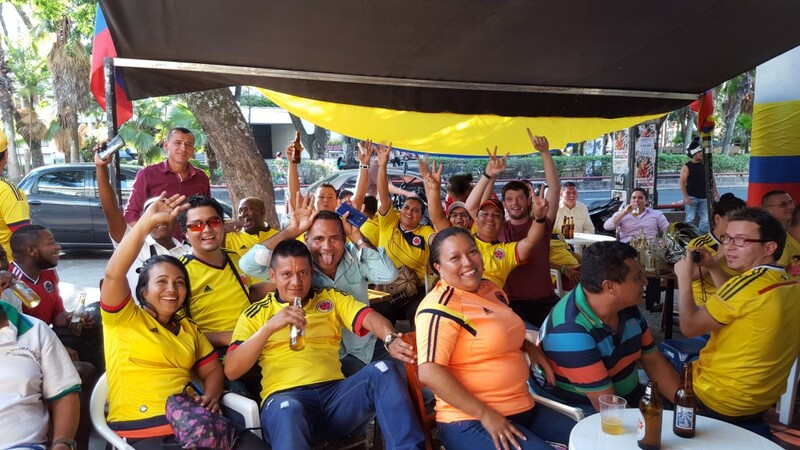 We went down to a local bar in Cali, Colombia to watch the national team win against Peru. When Los Cafeteros play it's a really special atmosphere. Everyone was proudly wearing the shirt and although they were bemused to see some English tourists at first they took to us and we spent the evening celebrating the win in traditional style with beer and salsa dancing.